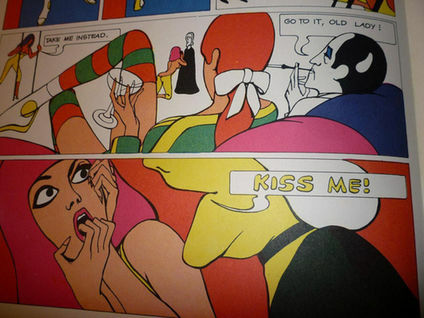 Ensconced in the avant-garde of the extraordinary social and cultural upheavals that were drawing 1960s Europe into the building wave of postmodernism, a Belgian advertising dropout, fed up with the corporate world, conceived the first "adult comic book" virtually off the top of his head. 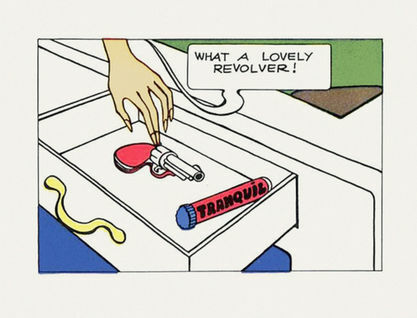 By creating The Adventures of Jodelle, a deluxe comics album that wore its revolutionary Pop sensibility on its sleeve, Guy Peellaert obliterated the conventions of what had up to that point been a minor, childish medium. Ironically appropriating the face and body of the teen idol Sylvie Vartan, he fashioned a new kind of heroine, a sensual, parodically beautiful spy. For his setting he chose a defiantly anachronistic Roman Empire, into which irrupted the most flamboyant symbols of a conquering America, the originator of all fantasies.